Silica nanoparticles were prepared from rice husk ash (RHA-silica) by precipitation method. The characterization of RHA-silica was studied by X-ray fluorescence, X-ray diffraction (XRD), Fourier transform infrared spectroscopy (FTIR), transmission electron microscopy, and Brunauer-Emmett-Teller specific surface area. Results showed that RHA-silica was successfully synthesized with a particle size of 5-15 nm and purity of 98.08%. 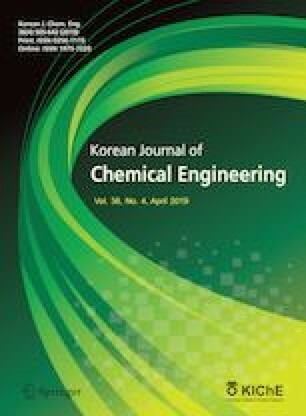 The obtained RHA-silica was applied with different content for fabrication of tubular ceramic-supported poly(vinyl alcohol) membranes using malic acid as a cross-linking agent (RHA-silica/MA-PVA) by dip-coating and solvent evaporation methods. The tubular ceramic-supported RHA-silica/MA-PVA membranes were used for dehydration of 95 wt% ethanol solution by pervaporation (PV) technology. Results indicated membrane with 15 wt% RHA-silica (15RHA-silica/MA-PVA) was suitable for the dehydration with permeate flux of 0.0856 kg/m2·h, separation factor of 46.6, and pervaporation separation index of 3.9 kg/m2h. The tubular ceramic-supported 15RHA-silica/MA-PVA membrane was characterized using XRD, FTIR, scanning electron microscope, differential scanning calorimetry, and contact angle measurement. Results showed that this membrane was 30 μm thick, mechanical stable (swelling rate, 133.9%), hydrophobic (contact angle, 81°), and thermal stable (glass transition temperature, 138.7 °C). Therefore, the tubular ceramic-supported nanocomposite membrane could be considered as a potential alternative for PV dehydration of ethanol.